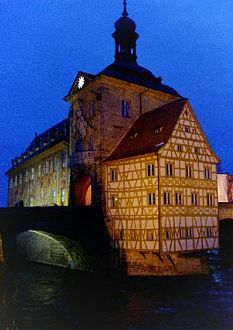 2006: Bamberg, Germany, hosted adult education experts in two International Conferences! let experience the 1000-year old Bamberg, UNESCOs world heritage, with its romantic streets, beer-gardens with the unique smoked beer, cathedral and the cityhall in the middle of the river. Prof. Mark Bray, Hong Kong, President of World Council of Comparative Education Societies (WCCES), Director of UNESCO's International Institute for Educational Planning (IIEP), Paris. Prof. Dr. Paul Bélanger, Montreal, President International Council for Adult Education. Former Director UNESCO Institute for Education Hamburg. Prof. Dr. Alexander Charters, Syracuse University, New York, USA. Prof. Dr. Dusan Savicevic, University of Belgrade, Belgrade, Serbia. Comparative Adult Education 2008: Experiences and Examples. A Publication of the International Society for Comparative Adult Education ISCAE. The aim of this conference is to collect, share, and discuss the actual knowledge about comparative research in adult education. Comparison means to explicitly identify and analyze similarities and differences in two or more countries and includes the attempt to understand why the differences and similarities occur and what they tell us about adult education in these countries. 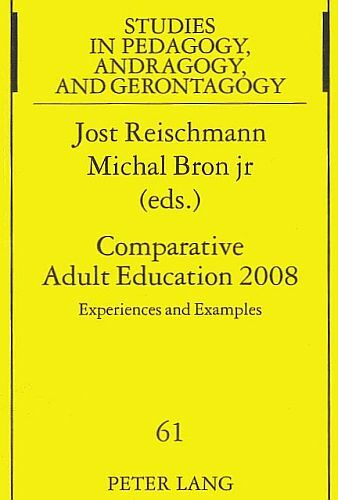 compare one or more topics of adult education/andragogy in two or more countries (= comparative study sui generis). deal with questions about the theory, principles, methods, and other topics related to comparison in the international context of adult education (= critical reflection of comparative methods/principles). reflect and share experiences gained in international research endeavours in which they faced problems, promises, challenges and pitfalls typical for comparative studies (= lessons learned). report developments, new publications, "state of the art" of comparative research in a given country or region or language (= reviewing). - historical, contemporary, institutionalised, individual aspects. How did important (historic) personalities / individuals "became adult educators"? Volunteers, "Moonlighters", moral leaders, knowledge-experts, (semi-)professionals - historic examples and developments. In which different ways in different times/countries/cultures one became an "Adult Educator"? Are there / had there been different types / categories of adult educators? What are the knowledge / the competencies / the attitudes expected from adult educators in different historic and contemporary movements / institutions / traditions? What are individual growth- and learning processes adult educators go through? What training schemes are available? Is an adult educator a teacher? - Professional roles of adult educators. The International Adult and Continuing Education Hall of Fame has been created to honor leaders in the fields of continuing education and adult learning and to serve as a record and inspiration for the next generation of continuing education leaders. Election to the Hall of Fame acknowledges that these men and women have made distinguished contributions to the field of adult and continuing education. Each has provided a crucial nexus between resources and learners. The International Hall of Fame held its induction ceremony in conjunction with the Bamberg-conferences on Wednesday, September 27th.